Oh my … I’ve seen this on American Idol but not on something that is as professional as the Grammy’s. I sat, transfixed on how she would handle herself. She looked mortified as she made her way through the second try … she sounded amazing! After she finished, she stood on the stage stunned and the audience was SO SUPPORTIVE. 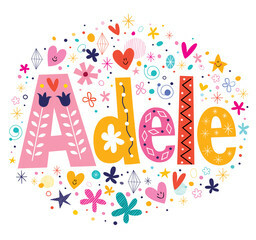 It was beautiful to watch … Adele is human; we are all human. Wow, what a moment! And it reminded me what they told us in music school (college level). Musicians can be the most critical audience and they can also be the most forgiving. I witnessed this on February 12 at the 2017 Grammy Awards.